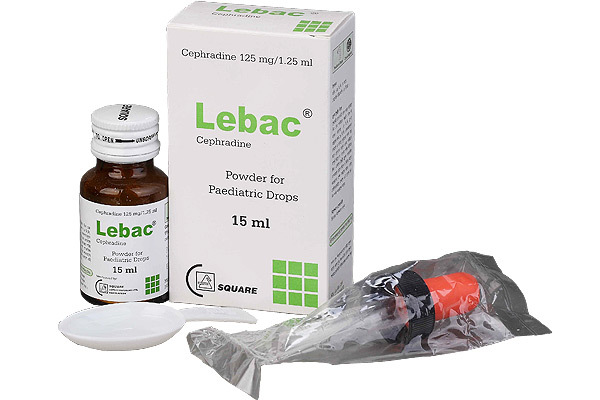 LebacTM(Cephradine) is used in the treatment of infections caused by sensitive organisms. or 500 mg every 12 hours. Lobar pneumonia: 500 mg every 6 hours or 1 gm every 12 hours. 500 mg three to four times daily. Oral: The usual total dose is 25 to 50 mg/kg/day given in 2 to 4 equally divided doses. becomes asymptomatic or evidence of bacterial eradication has been obtained. 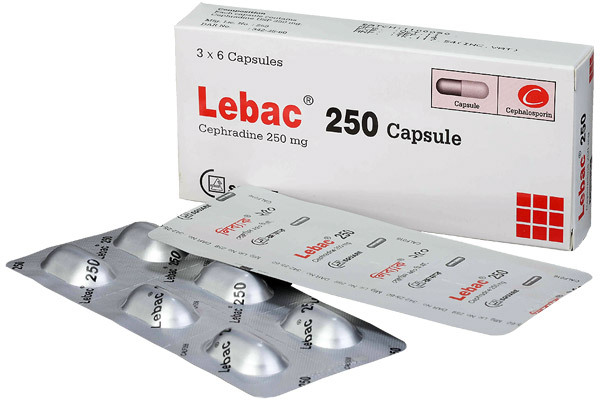 LebacTM 250 Capsule: B ox containing 18 capsules in blister pack. 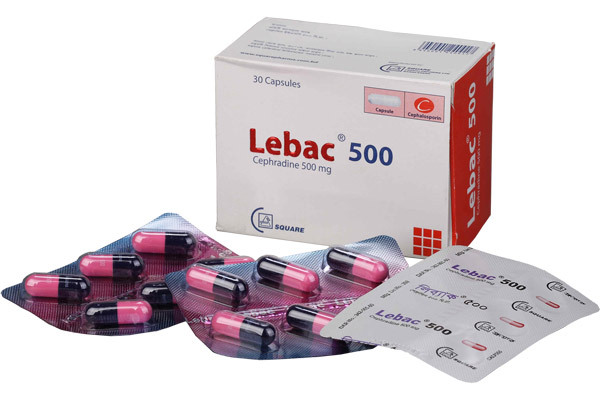 LebacTM 500 Capsule: B ox containing 30 capsules in blister pack. 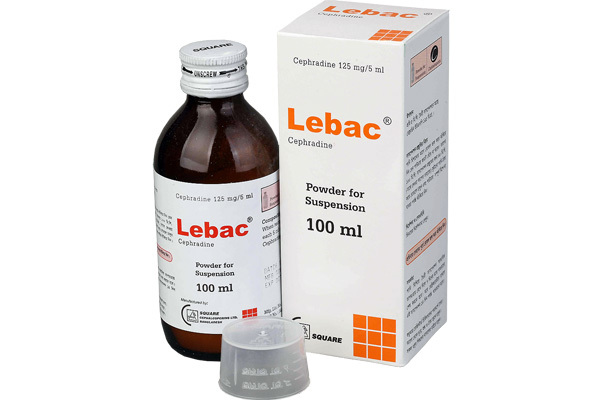 LebacTM Powder for Suspension: Bottle containing dry powder to reconstitute 100 ml suspension with a measuring cup. 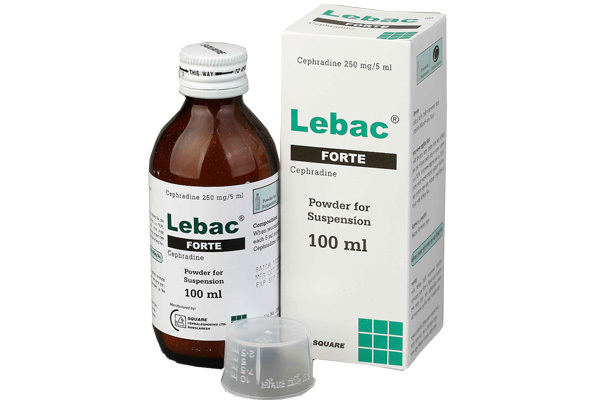 LebacTM Forte Powder for Suspension: Bottle containing dry powder to reconstitute 100 ml suspension with a measuring cup. 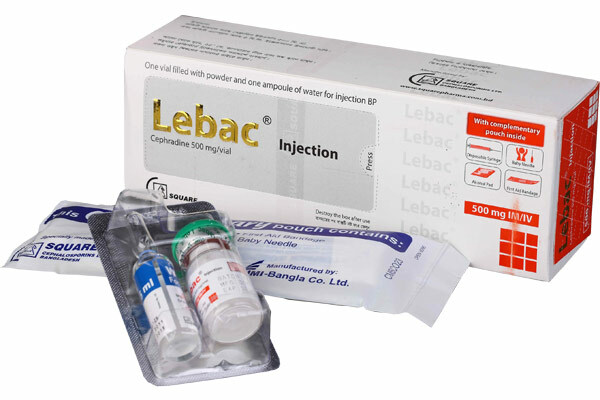 LebacTM 500 mg IM/IV Injection: Pack of 1 vial accompanied by 1 ampoule of 5 ml Water for injection BP for IM or IV injection. It also contains a complementary pouch comprised of disposable syringe (5 ml), baby needle, alcohol pad and first aid bandage. 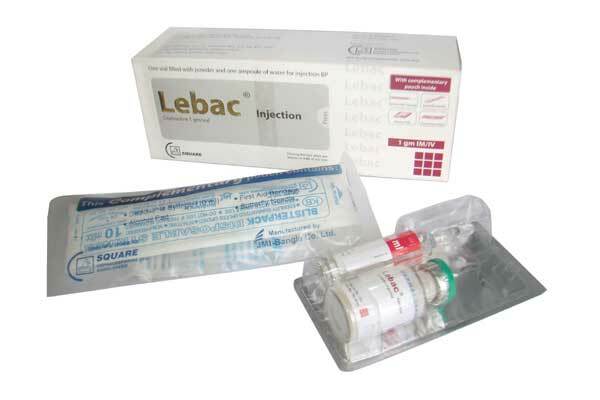 LebacTM 1 gm IM/IV Injection: Pack of 1 vial accompanied by 1 ampoule of 10 ml Water for injection BP for IM or IV injection. It also contains a complementary pouch comprised of disposable syringe (10 ml), butterfly needle, alcohol pad and first aid bandage.